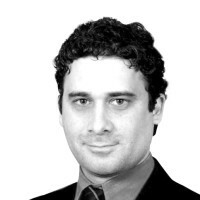 Josh Rogin is a former senior correspondent for national security and politics for The Daily Beast. He previously worked at Newsweek, Foreign Policy magazine, Congressional Quarterly, Federal Computer Week magazine, and Japan’s leading daily newspaper, The Asahi Shimbun. He hails from Philadelphia and lives in Washington, D.C.